The warming, natural wood tones of the Beech finish in this Alto bedroom creates an unrivalled air of tranquillity. The aesthetically pleasing and modest design allows you to add your own stamp of personality. Our talented designers can create a contemporary bedroom made to the highest of standards. 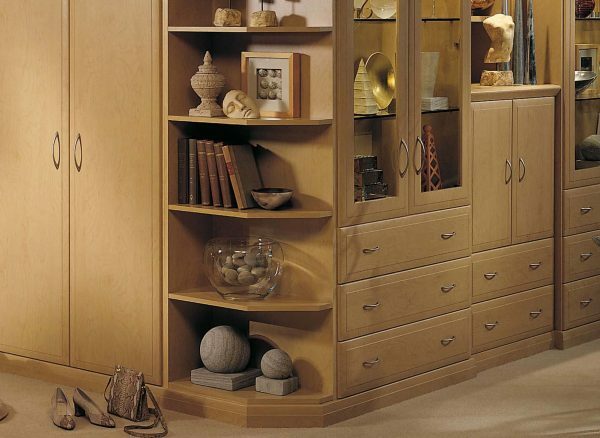 Whether you need deep fitted wardrobes with clever internal storage or want free-standing beside tables with a slide out tea tray, we can craft fitted furniture that looks great and works for you. Not every home is the same. That's why our designs are made bespoke to utilise and enhance aspects of the room. This Alto bedroom makes the most of an L-shaped space by introducing display shelving that expands across the corner, adding a decorative touch and softening the look of the whole room. Mirrored surfaces help to reflect light, create a spacious atmosphere and make your morning routine that little easier. 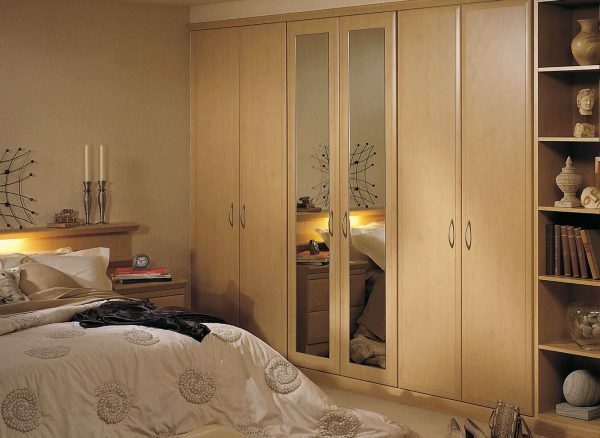 Our Alto wardrobe doors can be tailored to include full length mirror panels, for a bedroom design that is both stylish and convenient. 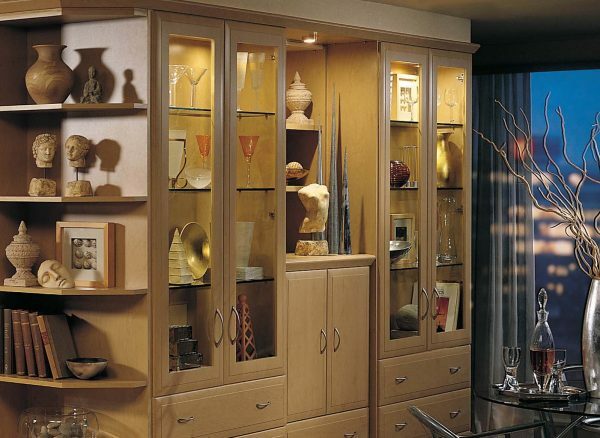 To add some extra elegance, the Alto unit includes glass fronted display cabinets. With glass shelving for a sleek look and LED down lighting to draw attention to the items on show, it creates a fantastic focal point in this contemporary bedroom.